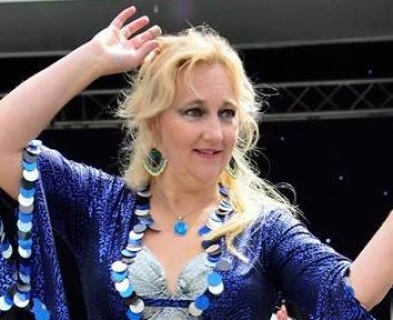 In this Crash Course students will learn some of the basic moves of belly dance. It provides the opportunity of trying something new without joining an already established class which can sometimes be a bit daunting. All students being new are in the same position, so the pressure of joining a class with mixed abilities is not relevant. Why not add a few extras to make this even more special. You still get your hand-outs and free CD, and as well as the added goodies above. ALL bookings on this New year Crash Course will also receive a 10% discount voucher to be used towards any workshop or party package. 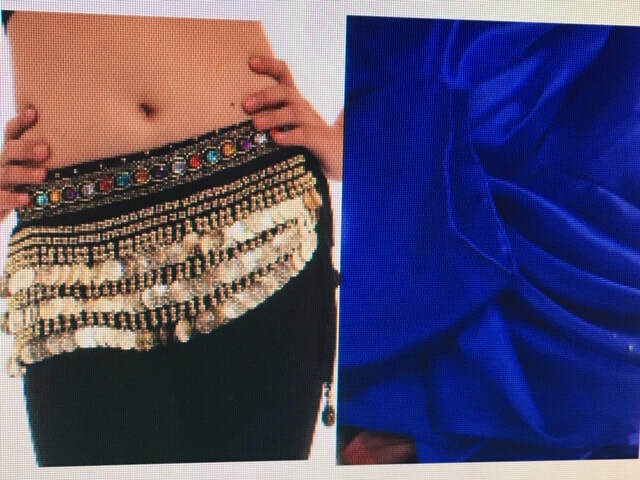 Please note: I have a variety of colours available for both the coin belts and the silk veils. When you have placed your booking, please specify the colour you would like and I shall try and accommodate this. Pre-booking is essential - please use the buttons above to book. Please ensure you use the correct button for the dates that you want. Spaces are limited so book yours now to avoid disappointment. Before you attend the first week of any crash course, I ask all students to complete the following Health Questionnaire. All information provided by you is treated with the strictest of confidence and is not passed on to third parties. Students are advised to wear comfortable clothing that allows free movement. NO jeans please. I always dance barefoot, but soft-soled ballet shoes or similar can be worn. Socks may be worn provided they have grippy bottoms. For more information on the Crash Course Part 2 visit here. "I thought the teaching was very fun, relaxed and was enjoyable"
"I was very nervous at first but Sarah made me feel at ease"